Jeremy Lee Renner, popularly known as Jeremy Renner is an American actor. He is best known for his role as Hawkeye in the Marvel Cinematic Universe films Thor and The Avengers film series. He is also known for his role in Mission: Impossible - Ghost Protocol and Mission: Impossible - Rogue Nation. His other major films are Dahmer, S.W.A.T, 28 Weeks Later, The Hurt Locker, The Town, The Bourne Legacy, Hansel, and Gretel: Witch Hunters, American Hustle, and Arrival. He has over 8.7 million followers on his Instagram. The Avenger actor, Jeremy Renner has been reportedly hanging out with the singer/actress, Lady Gaga. The reports of the 48-years old Jeremy hanging out with Lady Gaga has sparked the rumors that the two might be dating each other or has come close as of now. Reports said that the two has been spending time together. Reports also stated that Lady Gaga has met and spent some quality times with Jeremy's 5-year old daughter, Ava. The Oscar winner for A Star Is Born, Lady Gaga and the actor both shares music interest. 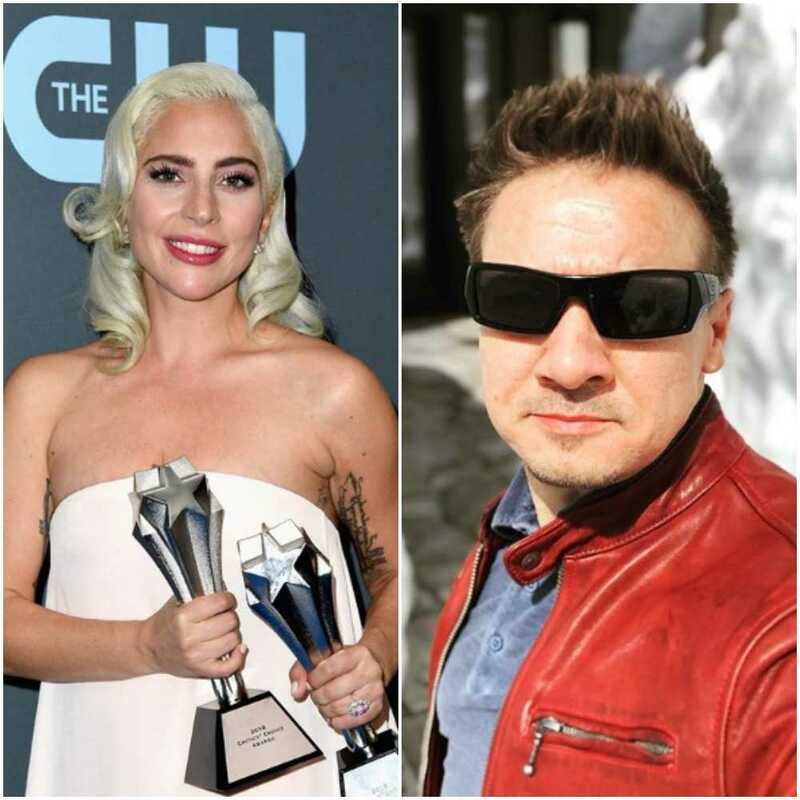 Lady Gaga ended her engagement with Christian Carino in February 2019, whereas Jeremy was previously married to Sonni Pacheco and divorced in 2015.
Who is Lady Gaga dating Jeremy Renner? 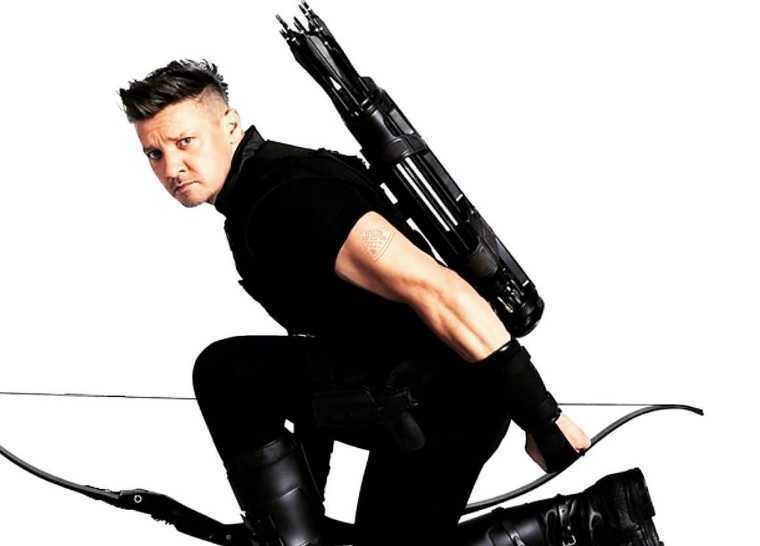 His role as Hawkeye in the Marvel Cinematic Universe film, Thor and Avengers film series. His roles in Mission: Impossible - Ghost Protocol and Mission: Impossible - Rogue Nation. Jeremy Renner was born on 7 January 1971. His birthname is Jeremy Lee Renner. He was born to father, Lee Renner, and a mother, Valerie Cearley. He is of German, English, Scottish, Swedish, Irish, and Panamanian descent. His birthplace is in Modesto, California in the United States. He holds American nationality. His zodiac sign is Capricorn. His parents divorced when Jeremy was 10 years old. He has 6 younger siblings. He attended Fred C. Beyer High School in Modesto, where he graduated in 1989. He later attended Modesto Junior College where he studied computer science and criminology. He then started taking drama class as an elective. Thus, he decided to pursue a career in acting. He made his film debut as an underachieving student in the 1995 comedy National Lampoon's Senior Trip. His major films are Dahmer, A Little Trip to Heaven, The Assassination of Jesse James by the Coward Robert Ford, 28 Weeks Later, The Hurt Locker, The Town, Mission: Impossible - Ghost Protocol, The Bourne Legacy, Hansel and Gretel: Witch Hunters, American Hustle, Mission: Impossible - Rogue Nation, and Arrival. The other films he has appeared in are Monkey Love, The Heart is Deceitful Above All Things, North Country, 12 and Holding, Neo Ned, Lords of Dogtown, Love Comes to the Executioner, Take, Ingenious, The Immigrant, Kill the Messenger, Arrival, Wind River, The House, and Tag. He made an uncredited cameo appearance as Hawkeye in the 2011 Marvel film, Thor. He later reprised the role of Hawkeye in the Marvel films, The Avengers, Avengers: Age of Ultron, and Avengers: Endgame. He will reprise the role of Hawkeye in the Avengers: Endgame, scheduled to release in 2019. He made his television career in an episode of an American action science fiction television series, Deadly Games in 1995. He later appeared in Strange Luck, To Have & to Hold, The Net, Time of Your Life, Angel, CSI: Crime Scene Investigation, House, and Louie. He appeared as Detective Jason Walsh in 10 episodes in a comedy-drama tv series, The Unusuals. He had voice roles in Robot Chicken and The World Wars. He has hosted Saturday Night Live in 2012. He has also appeared in television films, A Friend's Betrayal and A Nightmare Come True. Besides acting, he is also a singer-songwriter, guitarist, keyboardist, and drummer. He performed in the Sons of Ben during his early acting career. He performed "I Drink Alone" for the soundtrack of North Country. He has also performed "American Pie" for Love Comes to the Executioner and " Good Ole Rebel" for The Assassination of Jesse James by the Coward Robert Ford. He was featured in Sam Feldt's single, "Heaven (Don't Have a Name)". He earned his first major role nomination for his work in Dahmer. He was also nominated for two Academy Awards for Best Actor and Best Supporting Actor for The Hurt Locker. He has won Film Critics' Choice Best Acting Ensemble Award and Screen Actors Guild Best Cast Award for his role in American Hustle. He has also won numerous critics awards, film festival awards, and nominations. The American actor is reportedly single. However, there are rumors that he is dating Lady Gaga as of March 2019. They made headlines that the two might be dating secretly after they were seen together several times. The two has yet to speak about their relationship rumors. He was married before. He married Canadian model Sonni Pacheco. They tied a knot to each other on 13 January 2014. The couple shares a daughter together. Their daughter, Ava Berlin was born in March 2013. His wife Pacheco filed for divorce in December 2014 and their divorce was finalized in 2015. What are Jeremy Renner's Body Measurements? Jeremy Renner stands at a height of 1.78 m i.e. 5 feet and 10 inches tall. He has a body weight of 181 lbs i.e. 82 kg. He has an athletic body build. He has a chest size of 43 inches, biceps size of 15.5 inches, and a waist size of 34 inches. He has blue eyes and his hair color is light brown. What is Jeremy Renner's Net Worth? Jeremy Renner is one of the popular actors in the industry. He has appeared in numerous successful films and television series. Besides acting, he also runs a house-renovating business with his best friend and fellow actor, Kristoffer Winters. Working in films and television is his major source of income. He has also appeared in numerous television commercials including Bud Light, Coors Light Beer, Duracell Ultra Batteries, Aquafina, Kia, 7-Eleven, Kodak, among others. He was the brand ambassador for Remy Martin. As of 2019, his net worth is estimated at $50 million. He also worked as a makeup artist during the early 2000s. He has appeared in Pink's 2003 music video "Trouble". He studied Arnis (Filipino martial arts) and Muay Thai martial arts for his role in the Mission Impossible and Avengers franchises. He is a supporter of the San Francisco 49ers. He has narrated the NFL Network documentary series THe Timeline episode "A Tale of Two Cities" and the introductory video for the grand opening of Levi's Stadium. He has two dogs named Bentley and Hemmi.